Oh, well. I love our stairs and hallway. Not much to look at, granted. 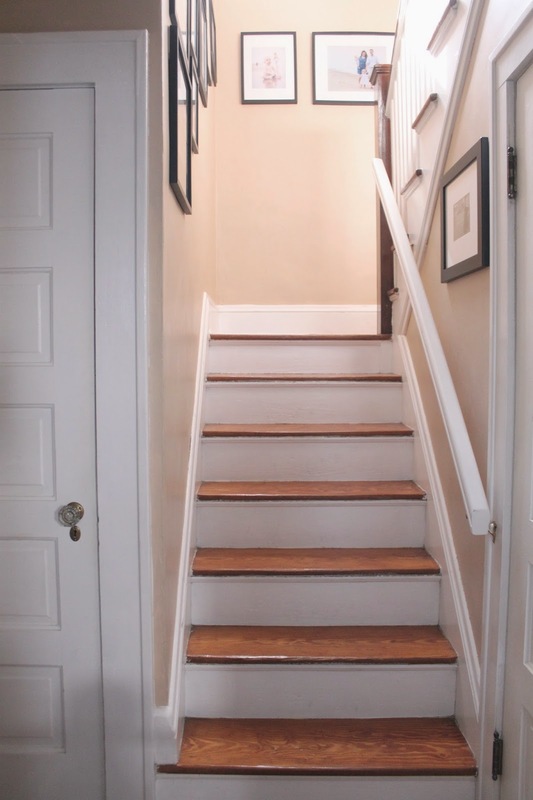 Though still, beautiful original floors, and banister (above the landing), five panel doors, glass knobs, charm. The stairwell goes all the way up to the top of our house, so it is very, very tall and gives it a spacious feeling even though the staircase is pretty narrow itself. But, I am getting ahead of myself. Some of the top part of the left wall was added when our second bathroom was put in sometime in the past. We are pretty sure, based on plaster and drywall differences, flooring, etc. that there was just originally a large open landing upstairs where our second bath and the upstairs linen closet now reside. 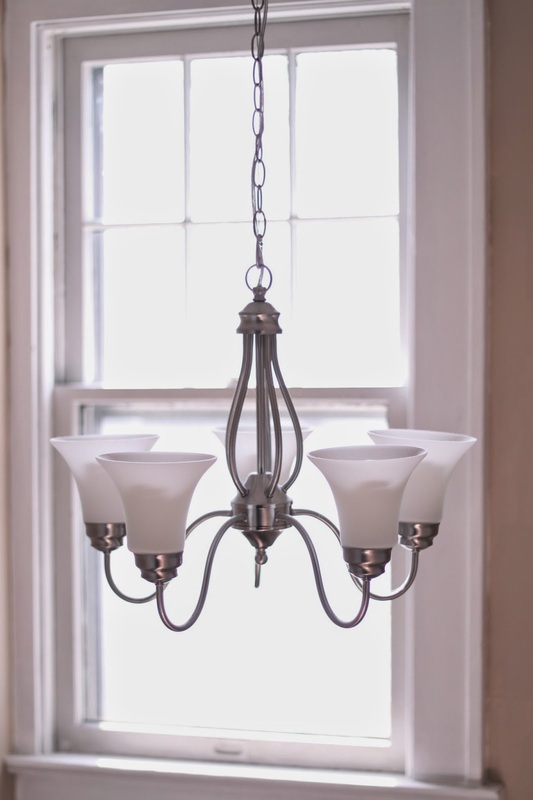 Their choice in light fixtures was, well. Not the same as ours. So we painted, and as we added memories (and family members) we added photos. because the nails were already there. We quickly learned to use Command strips rather than nails on plaster walls. Then we removed the blinds from the window, because - blinds? Not functional at 10 feet above you. We always meant to increase the privacy (but retain the light) by hanging a nice stained glass piece in front of it…but we never could find one that was just right. …and then we replaced all the lights. Ultimately, it's still a hall and stairs. 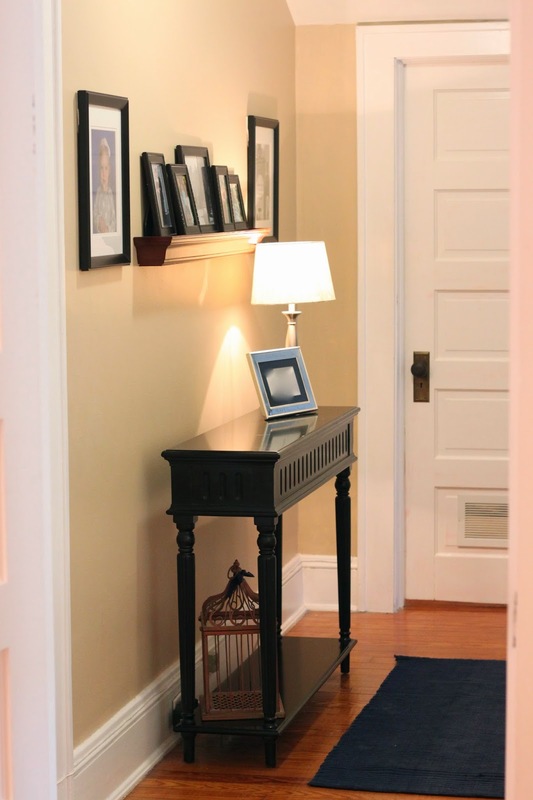 …and little details like this from our hallway were what sold us on this house.